For 5th Graders participating in the YMCA Track Meet on May 25th. Port & Company Charcoal short-sleeve shirt with Track & Field logo. Order must be placed by May 10th, 2019. NOTE: Place your order. 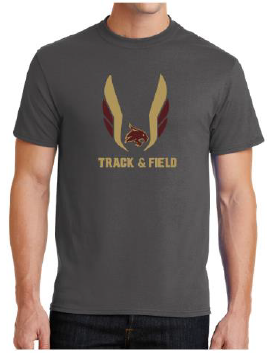 Item will be available before the track meet. Item will be delivered to the Elementary School.